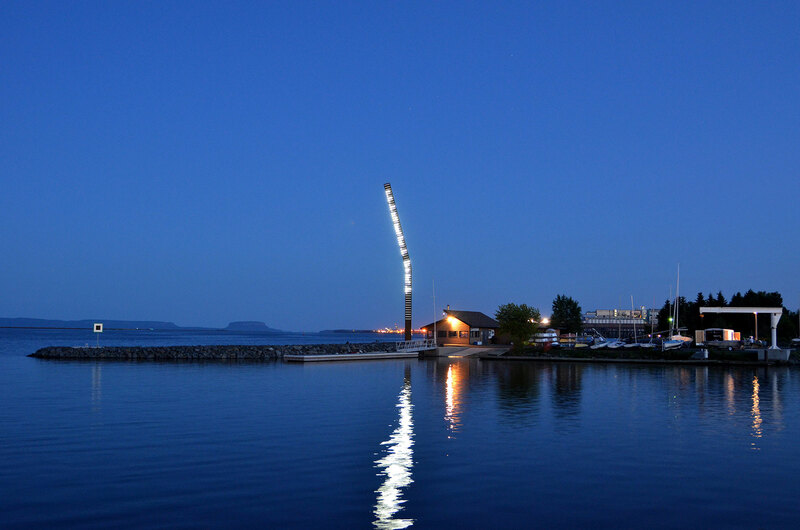 Located on the ends of Piers 1 and 3 on the Thunder Bay Waterfront, Jiigew [By the Water] forms a pair of sculptures 70-feet high. 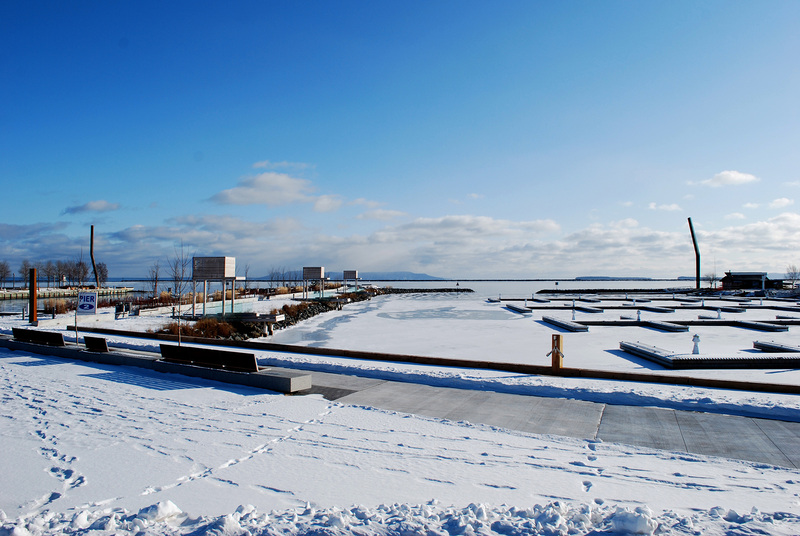 They act as beacons overlooking Lake Superior at the water gateway to the city. 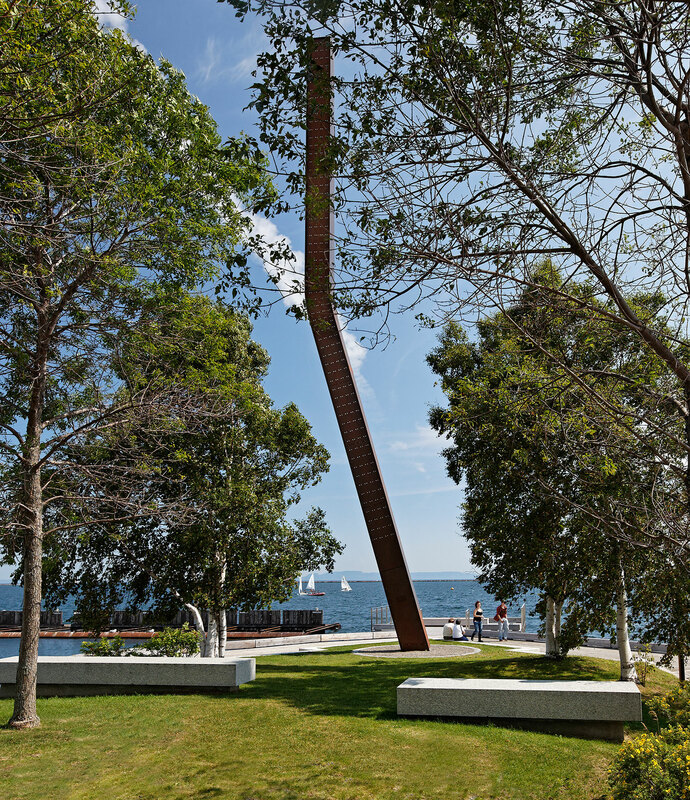 Through its shape, proportions and luminous qualities, Jiigew celebrates the history and identity of Thunder Bay by evoking shipbuilding, lightning and thunder. 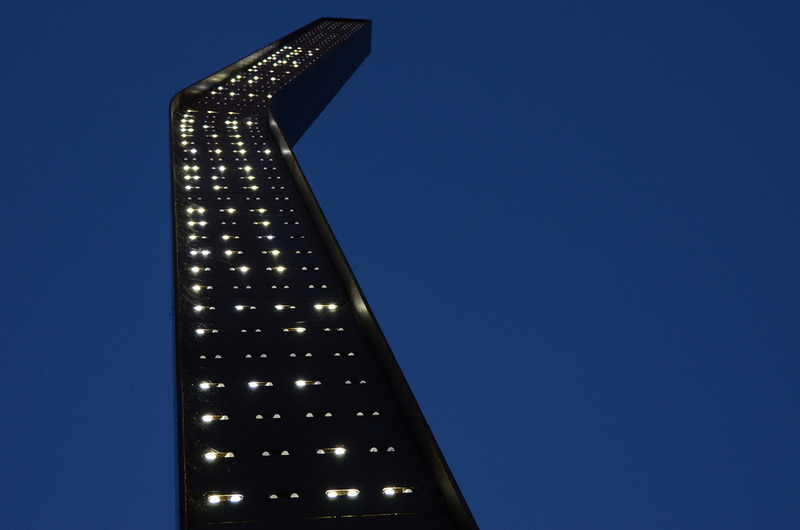 Each of the beacons relays a poem-story using an array of lights in Morse Code. An audio track is heard as a whisper reciting the poem in both Annishinabe and English. 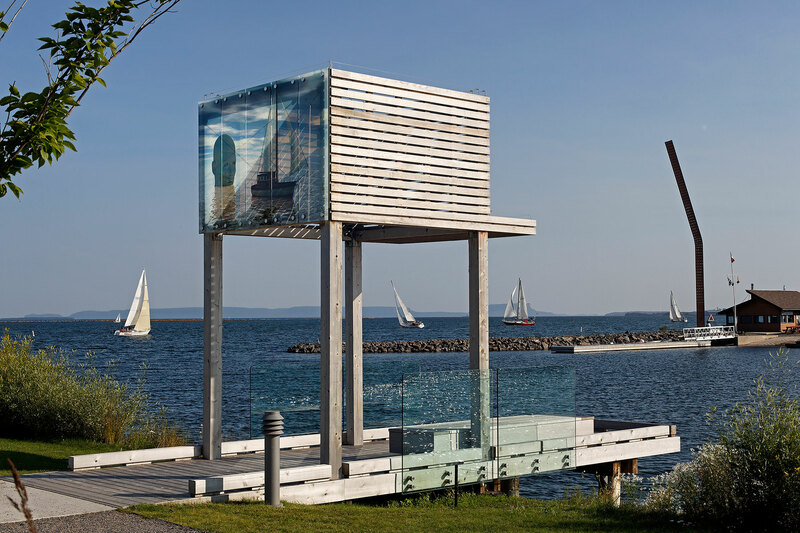 The choice of weathering steel for the structure refers to shipbuilding.